Junkfood Science: Too fat to love a child and be a dad? Too fat to love a child and be a dad? There are about 4,000 children desperately in need of parents to adopt them, every year in the UK, according to the British Association for Adoption & Fostering. These children come from a wide range of backgrounds, many are of school age and with siblings, special needs children with physical handicaps, or those who’ve been abused or neglected. These children are shuffled among state facilities, without loving parents to take them in. That’s what makes today’s news story so heartbreaking… and so wrong. A young couple desperately wants a child to love and to give a child a happy and safe home. They’ve been married for eleven years, don’t drink or smoke, and have a stable home to offer. They were told by government officials in West Yorkshire, England, that they are unfit to adopt. The only reason? Mr. Hall is considered too fat to be a parent. Too fat to love a child. The Leeds City Council wrote a letter to the couple saying that because of his obesity, he was considered at risk for becoming ill or dying. “I am writing to confirm that we are unable to progress an application from you at this time. This is due to the concerns that the medical advisers have expressed regarding Mr. Hall’s weight.” He was told he would not be considered until he lost at least 45 pounds, to get his BMI under 40, and had demonstrated that he could maintain that weight loss long-term, despite the fact that no medical intervention to date has found a safe, effective way to do that. The council's adoption service has a legal responsibility to ensure that children are placed with adopters who are able to provide the best possible lifelong care. Part of this responsibility is advice for applicants on a range of suitability criteria, including any health and lifestyle issues which may impact on an applicant's long term ability to adopt. This is reminiscent of the case of another young couple who had a stable, loving home to nurture a child, but were told they were unfit to adopt because she was too fat. They desperately wanted a child to love, too. And that’s what matters most to an orphaned child. This decision by government bureaucrats has nothing to do with health. There is no credible science to support basing adoption eligibility on BMI. The preponderance of the soundest evidence and clinical data continues to show that public perceptions and media representations of the deadliness of obesity have been greatly exaggerated. As has been known for well over half a century, since the research of Dr. Ancel Keys and actual angiographs and autopsy examinations of 23,000 sets of coronary arteries among people in seven countries, there is no relationship between body fatness and heart disease (the biggest cause of death). Dr. Edward H. Livingston M.D. at the University of Texas Southwestern School of Medicine and colleagues even reported that many of the conventional risk factors for cardiovascular disease decrease with increasing degrees of obesity. And, as we’ve seen in well-conducted studies that control for confounding factors, labeled “obesity paradoxes,” being fat is associated with better survival for people with a wide range of medical problems. The huge randomized INVEST trial of people with heart disease and hypertension, for example, showed that those in the ‘obese’ category (BMIs 30-35) had the lowest risks for all-cause mortality, heart attacks and strokes. 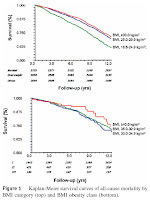 Even the very highest BMIs still had lower risks than the ‘normal’ weight patients. CDC researchers, examining 30 years of National Health and Nutrition Examination Survey (NHANES) data found overall cancer deaths were also unrelated to obesity. According to the CDC National Center for Health Statistics report on actual population statistics, nonsmokers with BMIs 30-35, in fact, have 23% lower risks than ‘normal’ weight people. If adoption officials are worried about lifespan, BMI is a poor measure of how long potential parents are likely to live. The Framingham Heart Study, for instance, showed no correlation between lifespan and BMI. Looking closer, in fact, its data revealed that among nonsmokers, increasingly higher BMIs were associated with longer life. The most predictive factor for death, besides age, of course, was heredity. 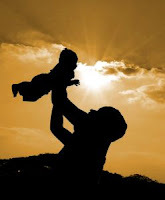 Are UK adoption agencies going to demand genetic screening for fitness to be adoptive parents next? Being fat is not the death sentence that the public is being led to believe. Put another way, the action by the Yorkshire authorities to deny this young couple parenthood because of Mr. Hall’s weight is based on nothing but misinformed prejudicial beliefs about fat people. 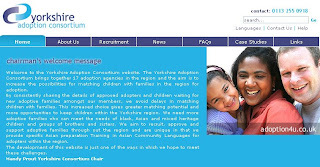 The Yorkshire Adoption Consortium, a group of 17 adoption agencies in the region, says its goals are to work to increase the possibilities of finding families for the countless children in need of families to adopt them. They could start by learning what really matters to a child. It is not what pant size their father wears.